A first-of-its-kind book ... a must-read for senior executives as well as project managers. ... an impressive piece of work. ... an incredible call to arms to increase your project greenality for a better world, or a bigger pay check, if you’re still cynical on this topic. 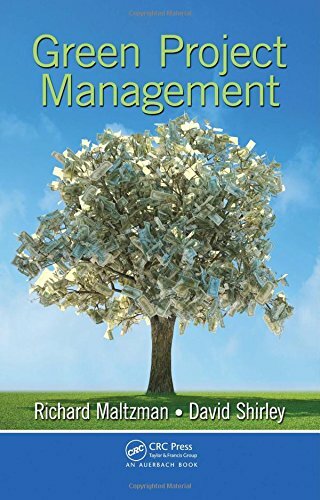 ... an excellent job of making the reader aware of how much influence a single project manager, let alone an entire discipline, can have on improving our environment. View More In Green Business.